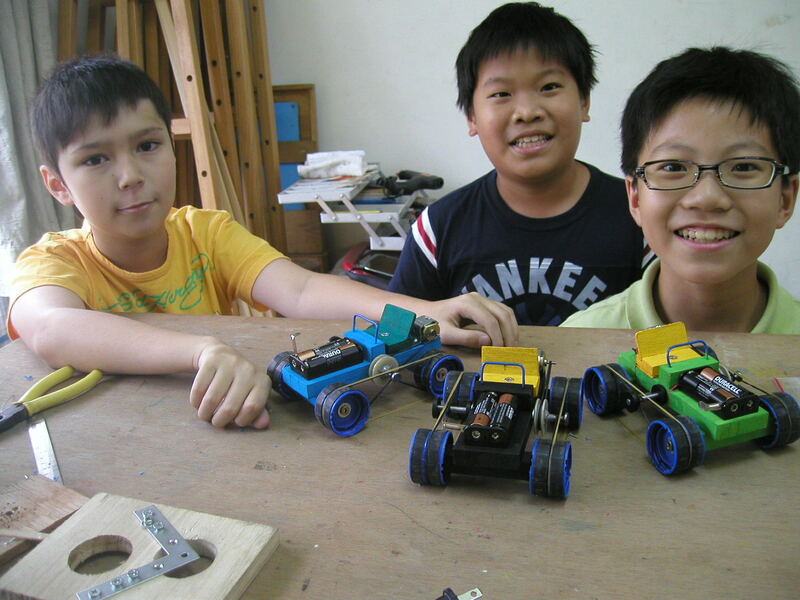 With the summer 2010 program just about finished, the most successful project by far has been the 4WD car. These were the first ones off the production line. The wooden parts were quite easy to cut. Some parts required a team effort. It was quite a win to discover they could saw through a big steel nail! Testing them was definitely the best part. Christine discovered how easily a snowman driver made out of cotton wool can get wrapped around the pulley…. This entry was posted in Activities and tagged handcraft classes for kids. Bookmark the permalink. this site is awesome – thanks for sharing! my kids will be super excited this weekend when we make something from here! Great! Feel free to send me any questions or suggestions.